This is a cultivar of golden star. 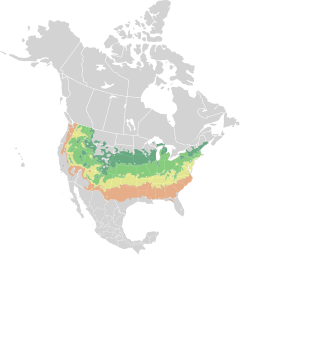 The natural species is a North American native. 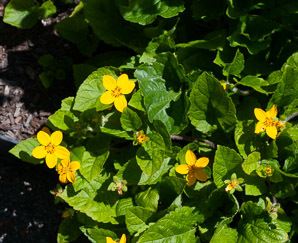 It is a low ground cover with showy flowers. Identification: Plants are less than 8" (20 cm) in height (more compact than the native species), spreading via underground stolons to form mats. Leaves are hairy, alternate, roughly egg-shaped (elliptic-ovate to deltate-ovate), ⅞-4" (2.5-10 cm) long, with crenate margins. Flowers are composite flowers—composed of a central yellow circle of 25-50 disc florets surrounded by 5 yellow ray flowers. This cultivar has many more flowers than the native species. They bloom from March to June. 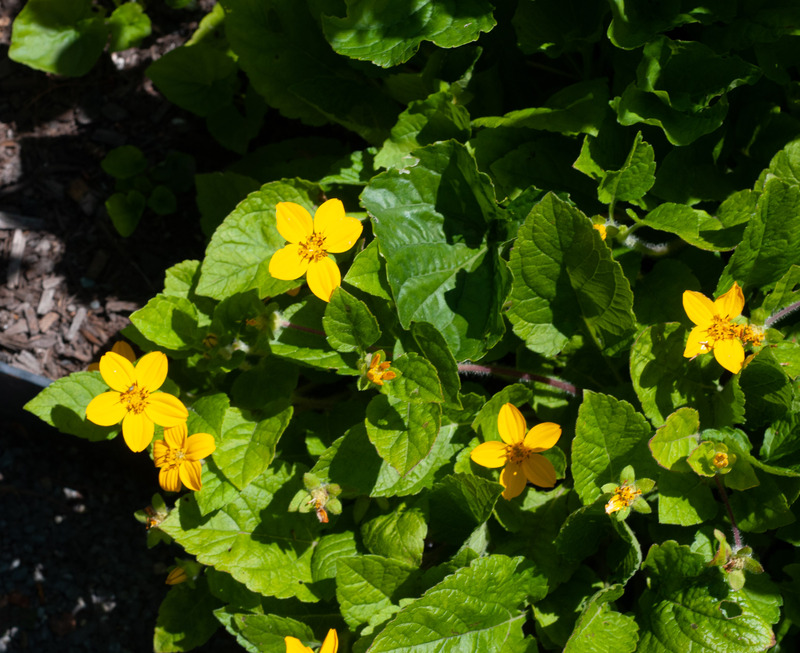 Chrysogonum virginianum ‘Allen Bush’ description by Thomas H. Kent, last updated 2 Jan 2019.